The most important forms of intellectual property protection available in Denmark are patents, utility models, copyright, designs and trademarks. Trade secrets are also protected in Denmark, but are not generally (and historically) regarded as being a form of intellectual property right per se under Danish law (contrary to the legal practice in many other countries). The Danish legal system is based on the civil law system. Traditionally, the legislation related to intellectual property rights, including the Danish Patents Act, has been based upon a rather close cooperation between the other Nordic countries. 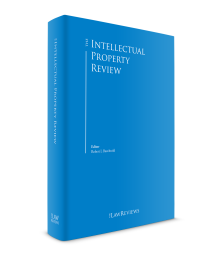 Case law from the other Nordic countries relating to intellectual property rights has therefore played a noteworthy part in determining Danish intellectual property law for many years (and still does). Of specific relevance with regard to patents, it should be mentioned that Denmark is a party to several international treaties concerning patents, including the Patent Cooperation Treaty, the Patent Law Treaty and the European Patent Convention. As further commented on in Section V, Denmark has also decided to join the European Unified Patent Court system. On a general note, it seems fair to conclude that the Danish legislative framework for the protection of intellectual property rights is well developed and offers a level of protection that is quite similar to the protections that are offered in comparable civil law legal systems of other countries in western Europe. In terms of legislative initiatives, one of the most important recent developments appears to be the creation of a special enforcement unit as part of the Danish Patent and Trademark Office aimed at strengthening the fight against counterfeiting and piracy. The enforcement unit shall act as a point of contact, where private citizens, businesses and authorities can receive information and guidance in specific cases about the enforcement of intellectual property rights. The new legislation was adopted in December 2016 under the explicit purpose of enhancing the protection and lawful exploitation of intellectual property rights. The new rules came into force on 1 January 2017, and the practical long-term effects of the new enforcement unit, therefore, still remain to be seen. A number of interesting judgments and orders relating to patents have recently caught the attention of the intellectual property law community. Of particular interest are two recent patent decisions from the Maritime and Commercial High Court (of which one was appealed to the Eastern High Court) given that these decisions were the first to be handed down after the competence to decide preliminary injunction cases in 2013 was moved from the bailiffs’ courts to the Maritime and Commercial High Court (or the district courts in some instances).3 In both of the cases, the Maritime and Commercial High Court carried out a comprehensive and quite extensive examination of the validity of the patents in question and the evidence regarding prior art submitted to the court even though the cases were being dealt with on a preliminary basis. Therefore, it seems reasonable to expect that preliminary patent cases may receive a more thorough treatment at the Maritime and Commercial High Court compared to the way these types of cases were dealt with previously. A recent decision by the Maritime and Commercial Court in a case initiated by several well-known Danish design companies against one of the largest internet providers in Denmark caught the attention of copyright holders.4 The case concerned whether or not the court should grant a preliminary injunction against the internet provider according to which the internet provider should prevent that its customers could get access to certain websites selling infringing furniture and other design and copyright protected products. The court found in favour of the design companies and issued an injunction against the internet provider. In relation to trademarks, the adoption of Regulation (EU) 2015/2424 by which the EU rules on EU trademarks were reformed in some respects has been the most notable recent development. Also, the process of preparing national legislation to transpose the provisions of the Directive (EU) 2015/2436, which is part of the legal framework behind the EU trademark reform, has now been started. The new rules are expected to come into effect by 1 January 2019. With regard to trade secrets, it is noteworthy that the European Parliament and the Council adopted a new directive on the protection of trade secrets in May 2016. The goals of the directive are to ensure that the rules regarding trade secrets are harmonised and strengthened throughout the EU by making the EU Member States adopt uniform national rules on unlawful acquisition, use and disclosure of trade secrets. The directive will be implemented in Denmark in a new and separate act on trade secrets that will come into force in June 2018. This will likely lead to a stronger protection of trade secret rights in Denmark. Patent protection is obtained by filing a patent application either directly to the Danish Patent and Trademark Office or by designating Denmark in an international patent application under the Patent Cooperation Treaty. Patent protection in Denmark may also be obtained on the basis of an application to the European Patent Office in accordance with the provisions of the European Patent Convention. According to the Danish Patents Act, patent protection shall be granted for all inventions that are: (1) new (at the time of filing the application and subject to the principle of global novelty); (2) involve an inventive step (essentially different from the prior art); and (3) are susceptible to industrial application. Inventions may be patented within all areas of technology and may be granted for products, methods, apparatuses and applications. The Danish Patent and Trademark Office will perform both a novelty search and a patentability examination when examining a patent application. Utility models may be obtained through the filing of a utility model application with the Danish Patent and Trademark Office. A creation must be: (1) new (at the time of filing the application and subject to the principle of global novelty); (2) distinctively different from any prior art; and (3) industrially applicable in order to qualify for protection as a utility model. Utility models can be registered for products, apparatuses and applications. The exclusive right granted via the registration of a utility model applies from the date of filing the utility model application onwards for up to 10 years. The exclusive right granted by a patent applies from the date of filing the patent application onwards for up to 20 years. Trademark rights may be obtained either through registration or by use. With regard to registered trademarks, protection may be obtained via a national registration, a EU registration or by designating Denmark in an application made via the Madrid Protocol. Design protection in Denmark may be obtained through four different channels: (1) by filing an application for a Danish design registration to the Danish Patent and Trademark Office; (2) by filing an application for a EU design to the European Union Intellectual Property Office; (3) as a non-registered EU design in accordance with the provisions of Council Regulation (EC) 6/2002; or (4) via an international application in accordance with the provisions of the Hague Agreement Concerning the International Registration of Industrial Designs. Copyright protection applies from the moment of the creation of a work that is protected under the Danish Copyright Act. It is not possible to register a copyright in Denmark. Examples of protected works under the Danish Copyright Act are literature, music, theatre, film, the visual arts – including photography, architecture, and decorative arts – as well as computer programs (software). Under the Danish Copyright Act, it is the originator of the work who holds the copyright for that work. Compared to the protection of copyright holders in other countries, it is worth noting that the Danish Copyright Act contains several mandatory provisions that provide protection for the originator in relation to agreements on the transfer of copyright. The copyright protection lasts from the date of the creation of the work in question until 70 years following the death of the copyright holder. It should be emphasised that an intellectual property right holder must pay special attention if protection in Greenland and the Faroe Islands is relevant, as protection may not automatically be granted in these parts of the Kingdom of Denmark even though protection has been obtained in Denmark proper. The most important venue for enforcement of intellectual property rights in Denmark is by far through the judicial court system. However, administrative departments and agencies also play a part in the enforcement of intellectual property rights (primarily via actions taken by the Danish customs authorities or through administrative proceedings lodged with the Danish Patent and Trademark Office). In matters relating to the infringement of intellectual property rights, it is often crucial for the right holder that the infringing actions are stopped very quickly. Therefore, right holders often initiate preliminary measures, for example, in the form of applications for injunctive relief. The Danish courts have many years of experience in dealing with such preliminary measures and are generally quite effective in doing so. Preliminary injunction applications may be submitted to one of the district courts seated in the district in which the alleged infringer is domiciled or where the alleged infringing actions are taking place. However, unless the parties have agreed otherwise, which would seldom be the case in an infringement case, the right holder may also submit its preliminary injunction to the Maritime and Commercial High Court in Copenhagen in most types of intellectual property infringement cases. In practice, the Maritime and Commercial High Court acts as Denmark’s specialised intellectual property court. The Danish Maritime and Commercial High Court has specific importance in relation to the enforcement of EU trademarks as well as EU designs given that the court has the sole jurisdiction in first instance to grant provisional and protective measures in respect of these forms of intellectual property rights with effect for all EU Member States (the competent court of second instance in these matters is the Danish Supreme Court). As mentioned above, the Maritime and Commercial High Court has specific competence and jurisdiction to deal with intellectual property matters although infringement actions (both preliminary and non-preliminary actions) may also be brought before the district courts. In practice, it will often be up to the right holder to choose whether an action should be initiated before the Maritime and Commercial High Court or one of the district courts. Infringement actions typically start with the right holder sending a cease-and-desist letter (or warning letter) to the alleged infringer. If the parties cannot reach an amicable settlement at this stage, the case may be left for the courts to decide. In this respect, it is relevant to note that an infringement action may be initiated if an infringement has already occurred or if it seems probable that an act of infringement will soon occur. In relation to trademarks and patents, both the licensee and the owner of the intellectual property right in question (i.e., the patentee or the trademark licensor) are entitled to bring an infringement action before the courts. If a licensee brings an infringement action, the licensee is obligated to notify the licensor hereof. While it is possible to initiate court proceedings with a view to obtaining negative declaratory judgments (i.e., non-infringement judgments), it is not clear whether a negative declaratory claim may be filed as a preliminary measure. There are a number of ways in which a right holder may seek to obtain relevant evidence of an alleged infringement of its intellectual property rights. For instance, the right holder may apply for a search and seizure order in accordance with the provisions of the Danish Administration of Justice Act. The option to apply for a search and seizure order is available in relation to most types of intellectual property infringement. The search and seizure provisions were adopted in 2001 as a fundamentally new set of rules for obtaining relevant evidence of infringement in intellectual property matters following an official review in 2000 of Denmark’s fulfilment of its obligations under the TRIPS Agreement.5 The main purpose of the new rules was to make it possible for the right holder to obtain and secure evidence of an alleged infringement of a very broad range of intellectual property rights by applying for a search and seizure order through the bailiffs’ court (as a preliminary measure). The rules have been amended several times since 2001 – primarily as a result of the implementation of the Directive 2004/48/EC on the enforcement of intellectual property rights in 2006 – and are today being widely used. Also, the right holder may take advantage of the provisions set forth in the Danish Administration of Justice Act, Chapter 29(a), which apply to almost all types of intellectual property rights. The provisions were adopted in 2006 with the aim of implementing Directive 2004/48/EC on the enforcement of intellectual property rights in the national legislation of Denmark. It follows from these provisions that an intellectual property rights holder may request the courts to order that information on the origin and distribution networks of the goods or services, which infringe the right holder’s intellectual property right, be provided by the infringer. The information may comprise: (1) the names and addresses of the producers, manufacturers, distributors, suppliers and other previous holders of the goods or services, as well as the intended wholesalers and retailers; and (2) information on the quantities produced, manufactured, delivered, received or ordered, as well as the price obtained for the goods or services in question. It should be emphasised that the neither the preliminary measure of search and seizure nor the order for certain information related to the infringement of an intellectual property right as provided for in the Danish Administration of Justice Act may be used in relation to the violation of trade secrets. In intellectual property-related proceedings that are being dealt with at the Maritime and Commercial High Court, the panel of judges will typically consist of one legally qualified judge and two technically qualified judges (with specialist knowledge within the intellectual property field in question). The panel of judges in other courts will most often only consist of one or more legally trained judges (without any technical expertise). This is also the case at the Supreme Court. The use of court-appointed experts in intellectual property matters is very common in court proceedings, including in proceedings before the Maritime and Commercial High Court. In 2014, the judicial rules regarding the use of court-appointed experts underwent a liberalisation following which the parties are allowed to ask the experts almost any kind of question as long as the subject matter of the question is relevant to the proceedings. Civil proceedings are commenced by the plaintiff’s submission of a statement of claims (and payment of the required court fees). When the court is satisfied that certain formalities with regard to the submission of the statement of claims have been met, the court will take steps to ensure that the statement of claims is being served on the defendant (accompanied with a letter from the court setting a deadline for the defendant to file a statement of defence). Shortly after the statement of defence has been submitted, the court will often arrange for a preparatory court hearing (held as a telephone conference) in which a plan for the remaining part of the preparatory process is discussed, including whether or not it is relevant to appoint a survey expert to deal with certain technical matters of the dispute and the extent to which the parties shall submit further written statements to the court. If a survey expert is appointed, which often is the case in proceedings concerning the infringement of intellectual property rights, this will normally result in a considerable extension of the length of the proceedings. In an intellectual property infringement case, the burden of proof with regard to whether or not the defendant has infringed the intellectual property right in question lies with the plaintiff. Danish courts follow the principle of free evaluation of evidence and basically all forms and kinds of evidence are admitted – as long as the evidence is relevant to the proceedings in question. Traditionally, the courts do not distinguish between public and private documents in relation to evidence – but the way in which the evidence has been produced or obtained may be taken into consideration by the courts when deciding the case. Unilaterally obtained expert opinions are normally admissible provided that they were obtained prior to the commencement of the court proceedings. However, the courts may be reluctant to rely upon such expert opinions – especially if the evidence of the case also includes a report prepared by a court-appointed survey expert. The Danish court system is currently undergoing a comprehensive digitisation process, which ultimately will result in the establishment of a digital platform making digital communication possible for all users of the courts in civil proceedings. The aim is to make the whole preparatory process digital – from the beginning of the process when the statement of claims is filed to the time the court’s decision is handed down and communicated to the parties – and, thus, rendering it possible for a civil case to be handled purely digitally without any physical papers being exchanged between the parties and the court. Almost all of the Danish courts are now taking part in the digitisation process and the majority of new cases are now being handled and prepared through the courts’ digital platform. As a clear starting point, the burden of proof with regard to whether an infringement has occurred lies with the plaintiff (i.e., the right holder). However, in civil proceedings concerned with whether a specific product has been manufactured by infringing a process patent, the burden of proof is reversed – meaning that the alleged infringer has to prove that the product in question has not been manufactured using the patented process. This is one of very few exceptions to the general rule of the burden proof. In intellectual property infringement cases, the first line of defence will often be to question the very existence and protection of the intellectual property rights in question. For instance, a defendant may argue that a patent is invalid because it is based on prior art, or that the alleged infringing product or process does not infringe the patent claims relied upon by the right holder. A defendant may also question the plaintiff’s rights to the intellectual property – thus, making it necessary for the plaintiff to produce clear evidence for plaintiff’s title to the rights in question. The Danish courts are generally considered to be quite effective. Following several reforms of the judicial system in the past few years, the courts have been focused on reducing case processing times and achieving consistent processing times in similar cases. The pendency of an intellectual property case very much depends on the complexity of the case in question, the international aspects of the case (e.g., one or more foreign defendants) and the necessity for the appointment of a survey expert to prepare a report on certain technical aspects of the case. The remedies available in intellectual property infringement cases are stipulated in the Danish Administration of Justice Act as well as in the different acts pertaining to each of the main intellectual property rights. The most commonly used remedies include injunctions (both final and preliminary), financial compensation (in the form of damages and reasonable remuneration) and border-control measures. The rules regarding preliminary measures have recently been revised and now allow the right holder to apply for a preliminary court decision ordering an alleged infringer to actively perform or accept the performance of certain acts as opposed to simply refraining from performing infringing actions. According to the Danish Administration of Justice Act, there are three fundamental requirements for the grant of a preliminary injunction, namely: (1) that the right holder’s intellectual property right in question is indeed in existence and valid and that the right is being infringed; (2) that the defendant’s actions or behaviour make it necessary to grant a preliminary injunction; and (3) that the right holder’s possibilities for enforcing the intellectual property right in question will be lost if the right holder has to await the court’s decision under ordinary court proceedings. In line with the legal principles governing preliminary measures in many other countries, a right holder is not compelled to prove that the defendant has infringed its rights in order to succeed in obtaining a preliminary injunction (or other preliminary measures) – it is enough for the right holder to render it probable that an infringement has occurred in order to meet the requirements for the courts to issue a preliminary injunction. If the court reaches the conclusion that the conditions for issuing an interim injunction are met, the right holder will have to provide a security (e.g., in the form of a bank deposit or guarantee) for the defendant’s financial loss if it at the conclusion of the following case on the merits becomes clear that the right holder’s intellectual property rights have not been infringed. However, no security is required in those cases where the court finds that the right holder – already at the preliminary level – has proved that an infringement has taken place. In addition to preliminary injunctions, a right holder may also apply to the court for a search and seizure order. Search and seizures orders are formally submitted to the bailiff’s courts but in cases where a right holder submits both a search and seizure application and a preliminary injunction application both measures will in practice often be dealt with by the same judge. In addition to permanent injunctions and financial compensation as briefly mentioned above, the permanent remedies include publication of a judgment regarding infringement, and the return, destruction and withdrawal from the market of the infringing goods and equipment used in the production of such goods. In severe infringement cases criminal sanctions may also be relevant. Generally, criminal sanctions will be in the form of fines, but imprisonment is also a possible sanction in the most serious cases. As a starting point it will be up to the right holder (as opposed to the public prosecutor) to bring forward a claim for criminal sanctions, which is probably one of the reasons why many intellectual property infringement cases are being decided without the court considering a possible criminal liability. The Danish court system is based on the principles of a two-tier system meaning that the decisions handed down by a court of first instance in almost all cases may be appealed to a higher court. Hence, judgments handed down by the districts courts in first instance can automatically be appealed to either the Western High Court or the Eastern High Court. The Maritime and Commercial High Court’s judgments may be appealed to either the Western High Court or the Eastern High Court or directly to the Supreme Court (depending on whether or not the matter in question is regarded as being of general importance to the development and application of the law or whether certain other special criteria are met). The initiation of arbitration proceedings requires that an agreement hereon have been concluded between the parties. If the parties did not have a contractual relationship prior to the occurrence of the matter in question (e.g., an alleged infringement of a trademark or patent), arbitration will usually not be available (unless both parties agree to arbitration when the dispute arises). However, if the matter in question is concerned with the violation or breach of a licence agreement concerning intellectual property rights, arbitration could be relevant as these types of agreements often contain an arbitration clause. The most popular and important arbitration tribunal in Denmark is the Danish Institute of Arbitration, which is a non-profit private institute. The institute was founded in 1981 and has considerable knowledge and experience in dealing with both national and international arbitration. Denmark is a party to the New York Convention on the Recognition and Enforcement of Foreign Arbitral Awards, which, inter alia, means that arbitral awards handed down by Danish arbitration tribunals may be enforced in other countries subject to the provisions of the convention. As an alternative to arbitration or continued litigation, the parties to civil court proceedings may agree on making a request to the court to appoint a mediator. This option is, however, very rarely used in the context of intellectual property proceedings (instead it seems to happen more often that the parties reach an amicable settlement without requesting for the appointment of a mediator). If the parties choose to enter into mediation it is important to note that each party may at any point in time decide to end the mediation in which case the litigation will resume. Most political parties in Denmark acknowledge that Denmark should be competitive in order to remain among the wealthiest countries in the world and that a well-developed system for the protection and enforcement of intellectual property rights is a significant factor in reaching this goal. Danish businesses rely heavily on innovation, creativity and the development of new and complex technologies as opposed to, for instance, the exploitation of natural resources. Therefore, it must be expected that the Danish government and parliament will continue to adopt legislation aimed at enhancing protection for intellectual property right holders and implement new EU legislation swiftly within the field of intellectual property. In May 2014, a referendum was held in Denmark concerning the question of whether or not Denmark should join the Unified Patent Court (UPC). More than 60 per cent of the votes cast were in favour of Denmark joining the UPC, thus making it possible for the ratification of the agreement on the UPC. The Danish legislation on the UPC is already in place, but will (for obvious reasons) not come into effect until the UPC has come into existence, which will happen when certain criteria set forth in the UPC Agreement are met. In addition to the expected establishment of the UPC, the European Union’s patent reform also consists of two regulations aiming to facilitate the creation of a unitary patent protection system within the European Union. 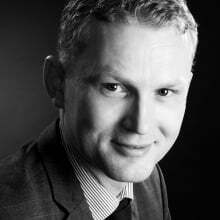 1 Rasmus Munk Nielsen is a partner at Clemens Advokatpartnerselskab. 3 The Maritime and Commercial High Court’s decision of 8 July 2014 in case No. A-0017-13 and the Eastern High Court’s decision of 14 August 2015 in case No. B-146-15 (following an appeal from the Maritime and Commercial High Court). 4 The Maritime and Commercial High Court’s decision of 21 February 2018 in case No. A-51-17. 5 World Trade Organization – Agreement on Trade-Related Aspects of Intellectual Property Rights (1994). 6 According to the yearly report from 2015 from the Maritime and Commercial High Court.